A new lock at Prescott Channel in Bow will help Olympic organisers meet their target to transport half of all construction materials sustainably. In a turn up for the brooks, people seem very keen to touch a Prescott with bargepoles. The £19 million scheme will control the tidal flow, allowing freight barges to ply the rivers south of Stratford. And ready by 2008, apparently. Meanwhile, reader James suggests a walking route round the area, before the bulldozers change it forever. 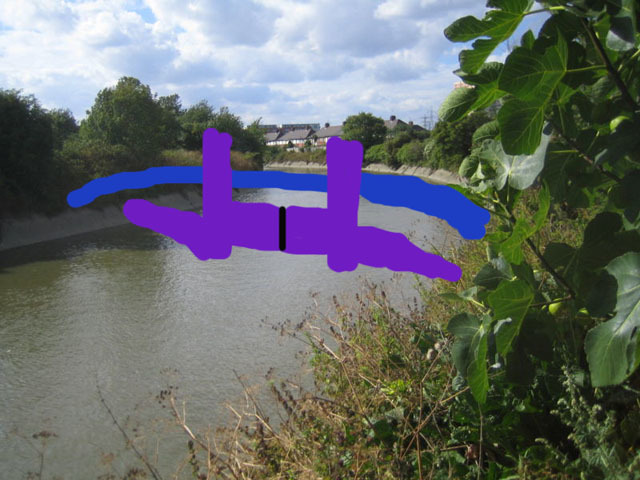 Image of Prescott Channel from Wikipedia, with a rubbish artist's interpretation of how the new lock might not look.